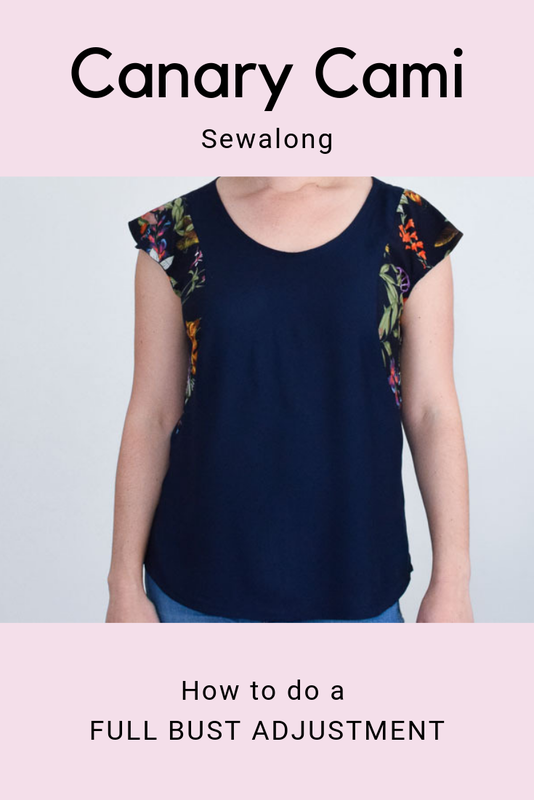 Having achieved the immense goal of producing and launching my very first sewing pattern, the Franki Top, I thought I'd write a little post about the journey towards this point. Since a young child, I have been interested in medical science and through school, considered no other path to pursure except for either medicine or veterinary. In the end, veterinary chose me and I embarked on an enjoyable 6 year at university, of which I have very fond memories and unique experiences. When I graduated, I had a sense of relief after achieving a life-long goal and was excited about what opportunities lay ahead. Starting work as a fledgling vet is not easy. I found that I craved a therapeutic outlet and I was hungry to develop my creative brain as a relief from work. 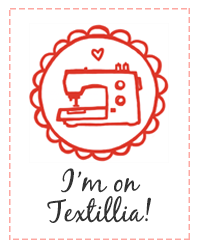 It was around this time that I discovered the online sewing community and I was bitten by the bug. 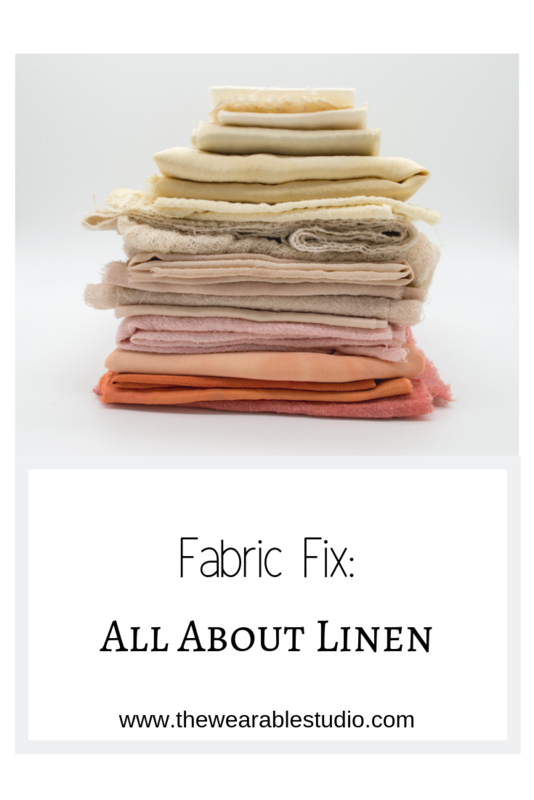 I always say that sewing satisfies both sides of my brain- creativity for the right side and problem-solving for the left side (sewing patterns are just a puzzle that need to be put together, right?!). Sewing classes with my wonderful teacher Vikki are where I discovered the science and art of pattern manipulation and pattern drafting. I absolutely loved it! It was mathematical and precise. Just the things that make my brain happy. (Yes I know...what a nerd!). The seed to have my own creative bsiness was planted many years before I discovered patternmaking. For a long time I wasn't sure exactly what avenue I should pursue. What I did know however, was that it had to be something I was passionate about in order to maintain the enegry and commitment needed to make a side hustle do-able (let alone successful!). After much thought and in depth discussions with my patient then husband-to-be and closest friends, things slowly started to crystallise. My heart and mind were set. I wanted to start an indie sewing business and produce sewing patterns. Never in my life had I felt a stronger sense of purpose, passion and pursuit (even through my years at university!). Nothing was going to stop me. About 12 months ago, I began to work on my dream. Each day, I attempted to carve out a little more of the startup quest; whether this was squeezing in an hour at night after work or diving into my own world for hours at a time on my rostered time off. Some days I felt like I was sinking into a mud pit with a tall mountain above me, too great to conquer. Other days, I was flying high after moving the next hurdle and feeling another inch closer to my goal. A few years ago, business and marketing were the last things on my mind. But since starting this journey, these topics interest me more and more. Being a small business owner means wearing many hats and being a permanent student. I have surprised myself with how much I am enjoying this aspect of being an entrepreneur. In the last few months, when I haven't been working as a vet or planning a wedding, you could often find me buried in a book about startups, or engrossed in yet another podcast about entrepreneurship and creative business. And yes, of course there was lots of sewing and Instagram surfing too! There are many women who inspire me on a daily basis. These women pursue what they love in a passionate and individual way. They don't let anything or anybody stop them. They are my inspiration and they help me to continue to pave out my own journey, one teeny step at a time. I have big dreams and ideas for where I want to take this wee business of mine. Only time will tell. If you have gotten this far in the post, thank you for your support. Each person's contribution means so much. A picture tells a thousand words or in modern day speak, Instagram is crucial for modern business marketing. In our fast-paced world, where nobody lingers for more than a few seconds, taking high quality photos is the most important factor to successfully lure current and future customers. In setting up my blog and my future business, this fundamental concept has baffled me because photography and 'being in front of the camera' has never been something I was interested in. Anyone who has pursued a start-up knows that the learning curve is STEEP and comprises many different things, so I threw photography into the basket of things to learn and pushed on. The great thing about digital photography is that experimenting is easy and free. And you know what else is free, YouTube. Many people are often scared to try because they are afraid of making a mistake or they worry they will be 'bad' at their chosen pursuit. This notion is crazy to me. You'll never learn without making mistakes, and for every mistake, something is learned. Thanks to Google and the internet, it has never been easier to be a student of your curios mind. In this post, I have documented a little bit of my learning journey when it comes to photography and my pursuit to improve the quality of my images. It is not intended to be a tutorial but rather an insight into my process. I thought it may be interesting for other to read as I certainly love to read about how other creatives go about...well, creating! I don't have a fancy camera. But what I am lucky enough to have at my disposal (it belongs to my Mr) is a camera with the manual mode function. I use a Canon PowerShot S110 pictured below. After referencing a few YouTube videos (stay tuned for an upcoming post on my favourite You-Tube Channels) to the learn photography basics and doing some practicing, it didn't take long before the my pictures were already looking better. Once you understand the basics, the fun begins. It's great experience to get out and about and to take pictures in different settings; indoor, outdoor, sunny, cloudy, urbanscapes vs landscape/scenery. I noticed that once I did this, I had an even better grasp of what my camera was capable of. It also helped me work out what I liked in a photo and what I wanted to avoid. Some of the fun I have been having about town with my camera. Lighting is the number one factor towards producing great photographs. At the beginning, learning all about lighting was quite overwhelming but once again YouTube and good old trial-and- error came to my rescue. My first foray into lighting was understanding how to use a light box and since I am doing this on a budget, I opted for a DIY method. There are plenty of videos online to help with this. I particularly liked Chris Kuga's DIY Light Box Photography Tutorial. I created this first experimental make-shift light box using large pieces of cardboard with cutouts in the centre. I used yellow tracing paper (that's all I had lying around) over the holes to diffuse the light. The lamps are cheap Ikea Lersta lamps which I also had lying around too. Scrap calico fabric made a good infinity mat. It worked well however 1) the yellow tracing paper created an ugly yellow ambience 2) I couldn't use it to photograph myself and 3) it took up a lot of space in my workroom. Below are examples of some of the pics I took in the above light box. Not bad, but I wanted better. For the next lightbox experiment, I removed the screens and diffused the light using a sheet of baking paper over the lampshades which may arty brother suggested. This method allowed me to avoid working on the floor when photographing smaller items which I preferred and the light was much more white and crisp. I used a brown paper background for these as the white table was too glossy and created glare. The lighting was improving but I now needed to work out a better background solution for the tutorials that I want to create. So I moved the lights to our beautiful Tasmanian Oak dining table (which we built too). This room also has plenty natural light and the wood grain made the perfect backdrop. Here is an image from my free PDF Marcie Headband Pattern. To take pictures of myself, I took the same lights and stood them in the living room against a plain, white wall which just happens to be adjacent to another large window. I am lucky as this spot also has a lot of natural light which is only slightly improved by the lamps. Being in front of the camera has never been my thing. The problem is, its kinda important to show your garments on the body and it also helps to build a personable, honest brand. I like to be independent (and perhaps patience is not my greatest virtue) so relying on others to take my pictures is not ideal. Embarrassingly, I bought a selfie-stick in the hope that this might be a good solution but the reality is that there are limitations on the types of shots you can make, the pictures are often distorted and the stick inevitably makes a photo-bomb appearance. Unfortunately, I was told that Canon does not make a compatible remote shutter control for my camera so for now, I am using the timer function to take my pics. I have propped the camera up using a wonky mini tripod and a few empty shoe boxes. Now how is that for improvisation! There are many ways to edit photos- complicated, professional ways and less complicated ways. Although I do have access to Adobe Photoshop and Adobe Lightroom through my Adobe Creative Cloud subscription, at the moment I don't feel that I can spare the time to learn these programs. I have therefore opted for an easier method using an app called SnapSeed which does a fantastic job. Although this can only be used as a mobile app, this is no problem as pictures need to uploaded onto Instagram via the mobile anyways ad the process is seamless.